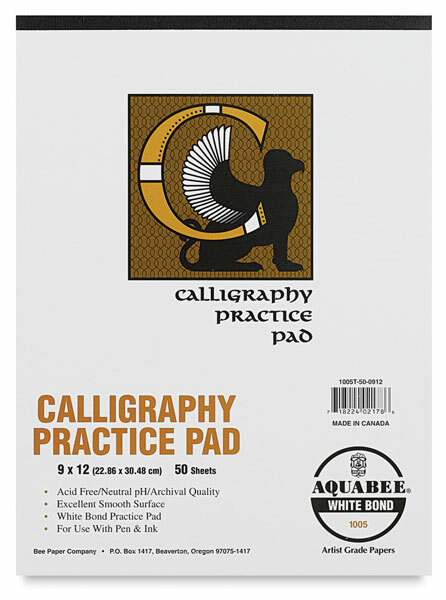 This thin parchment is designed for calligraphy practice. It is non-gridded, but includes two formal italic guide sheets. 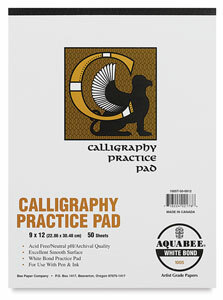 ® Bee Paper is a registered trademark.® Aquabee is a registered trademark.